Sandwich fans, take heed: there's a new spot in town to get your fix. 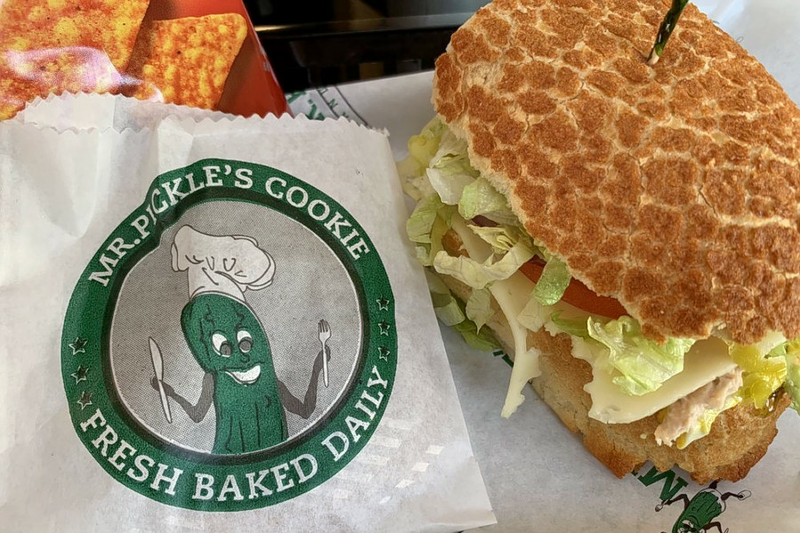 Located at 7967 N. Blackstone Ave. in Northwest Fresno, the new addition is called Mr. Pickle's Sandwich Shop. The menu features hot and cold specialty sandwiches, as well as deli sandwiches and salads. Look for The Mr. Pickle, with chicken, bacon, avocado and Monterey Jack cheese, and the Tom Turkey, with roasted turkey, bacon and Swiss cheese. The franchise has multiple locations throughout California. With a 3.5-star rating out of three reviews on Yelp so far, the fresh addition has gotten a good response. Jasmine C., who was among the first Yelpers to review the new spot on December 21, wrote, "My coworkers and I instantly fell in love with the sandwiches. The sandwiches are very good." And David D. wrote, "I ordered online and when I arrived, the sandwich was bagged and ready for pick up. The sandwich tasted great when I got home. This is a great addition to Fresno." Swing on by to take a peek for yourself: Mr. Pickle's Sandwich Shop is open from 10 a.m.-7 p.m. on Monday-Saturday and 10 a.m.-5 p.m. on Sunday.